Glass 2.0 is coming and might bring some friends. Google pulled the plug on Glass sales to consumers earlier this year while insisting that the futuristic wearable would be back in one form or another when the time was right. A number of job postings at Google spotted by Business Insider give us a few hints that Glass is about to make a return - and that comeback could involve a whole family of products rather than just one headset. The Glass team would like to meet individuals interested in developing "smart eyewear and other related products" says the listing, though what those related products could be isn't yet clear. A HoloLens rival? An intelligent ear piece? Recent job ads have included positions for a Human Factors Designer, an RF Systems Engineer, an Audio Hardware Manager and a Hardware Automation Engineer. 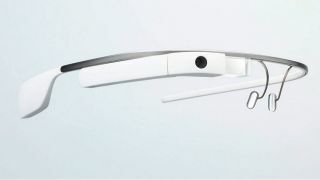 Most mention the Google Glass division and the "ambitious and visionary" projects it's working on. Glass is now under the supervision of Nest boss Tony Fadell, the man previously responsible for shaping the original iPod - Google will be hoping he can bring some of that aesthetic style to Glass. We don't know much about Glass 2.0 yet but it's encouraging to hear that there might be more than one super-smart wearable on the way. Let's hope there's more news from Google I/O at the end of the month.